With the advent of exome and whole genome sequencing technologies, and methods to analyze these sequences becoming increasingly available, new ALS genes are being discovered. New insights are being made into the underlying mechanisms of the disease. And, new ideas of how to treat the disease are being developed. Emerging gene delivery vehicles are opening the door to develop gene therapies for ALS (see June 2017, July 2017 news). Computational approaches aim to help prioritize therapies to be tested in the clinic (see January 2017 news). And, the development of a growing number of stem cell-based models of ALS are enabling scientists to identify new targets and repurpose existing medicines as potential therapies for the disease (for review, Sances et al., 2016; Myszczynska and Ferraiuolo, 2016). 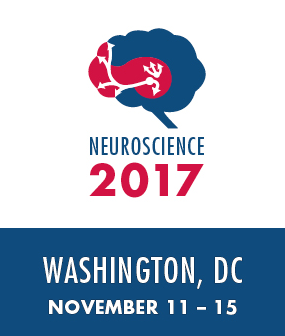 At the 2017 Meeting of the Society of Neuroscience in Washington, D.C., experts discussed potential treatment strategies for ALS beginning to emerge and the potential of these approaches for ALS going forward. 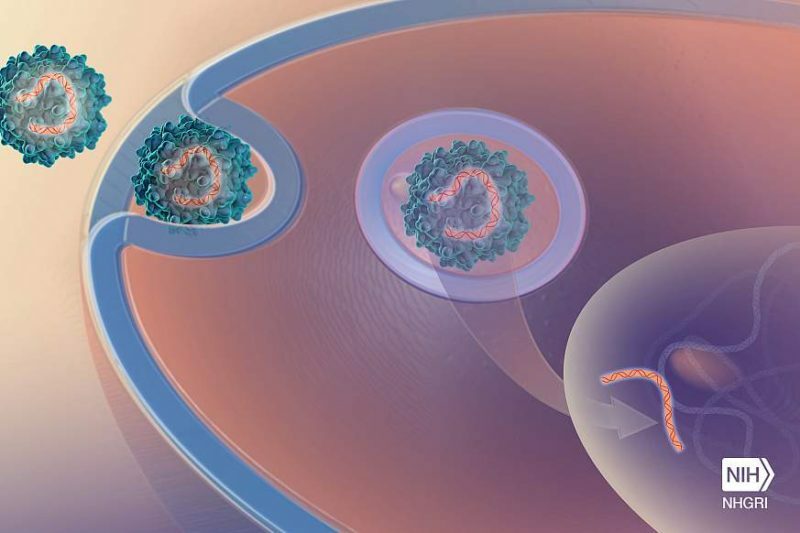 Researchers are one step closer to developing a potential gene therapy for SOD1-ALS. The approach, developed by a research team led by Nationwide Children’s Hospital’s Brian Kaspar in Columbus, Ohio, aims to reduce motor neuron toxicity by lowering levels of SOD1. The buildup of this misfolded enzyme is thought to contribute to ALS by multiple mechanisms (for review, see Taylor et al., 2016). The strategy, delivered into the central nervous system using Maryland-based REGENXBIO’s AAV9 vector, uses a short hairpin RNA (shRNA) to silence the SOD1 gene. The approach is being developed in partnership with AveXis in Columbus, Ohio (see June 2017 news). The potential therapy, according to preliminary analysis presented at SfN 2017, significantly improves motor function and increases lifespan about 50% – at least in a SOD1 G93A mouse model of ALS treated at the newborn stage. And, the approach, when delivered into the lumbar region of the spinal cord by infusion, significantly lowered SOD1 levels in motor neurons and glia in the brain and spinal cord of healthy non-human primates. The approach builds on previous preclinical studies, which suggests that a similar strategy may be of benefit in SOD1 ALS (Foust et al., 2013). The approach, however, had to be redesigned, in part, to remove a GFP tag introduced into the vector to facilitate its initial development. The potential therapy is at the pre-IND enabling stage. Stay tuned. To learn more about this emerging gene therapy for SOD1 ALS, check out A New Potential Gene Therapy Delivers a Key Milestone. A new antisense oligonucleotide may soon enter the ALS pipeline. The approach, which targets TGF-β receptor type-2, aims to protect motor neurons in ALS in part, by reducing astrocyte-mediated toxicity. The strategy, developed by a research team led by University of Regensburg’s Ulrich Bogdahn in Germany, builds in part, on previous studies, which found that astrocytes may promote the destruction of motor neurons in ALS by secreting TGF-β1 (see August 2017 news; Endo et al., 2015; Tripathi et al., 2017). The approach, according to a preliminary analysis presented at SfN 2017, is safe and well-tolerated – at least in non-human primates. The strategy is at the preclinical stage. 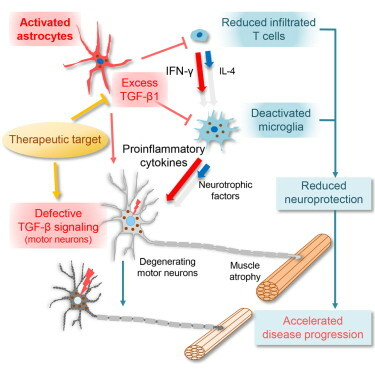 To learn more about the emerging role of TGF-β1 in ALS, check out TGF-β1: ALS Astrocytes’ Secret Sauce? A new strategy targeting the RNA-binding protein TDP-43 in ALS is beginning to emerge according to preliminary results presented at SfN 2017. 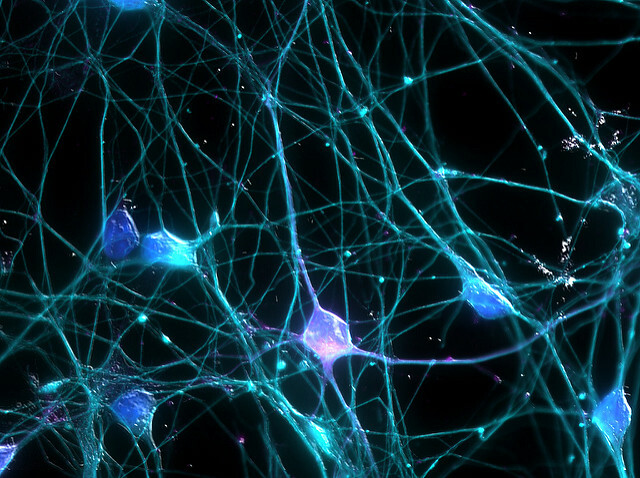 The approach, being developed at San Francisco, California start-up Prosetta Biosciences in partnership with AstraZeneca and Takeda Pharmaceuticals in Massachusetts, aims to reduce motor neuron toxicity in ALS by pushing TDP-43 back into the nucleus. The RNA-binding protein is mislocalized to the cytoplasm of motor neurons in more than 95% of cases of the disease (for review, see Harrison and Shorter, 2017). The team identified one small-molecule that increased nuclear localization of TDP-43 in VCP-linked FTD patient-derived fibroblasts. And, decreased its recruitment to stress granules in the cytoplasm upon treatment with arsenite. The lead compound, which can cross the blood-brain barrier, is one of three identified that may help reduce mislocalization of TDP-43. The strategy is now being optimized by structure-activity relationship (SAR) analysis in part, to boost potency. The approach is at the preclinical stage. To learn more about how scientists aim to modulate proteostasis in ALS, check out Breaking Up TDP-43 Aggregates May Be Doable. Researchers are taking another look at neurturin, this time as a potential treatment for ALS. The strategy, being developed by a research team led by Johns Hopkins University School of Medicine’s Nicholas Maragakis in Baltimore, Maryland, aims to promote survival of motor neurons in ALS. The approach, originally developed as a potential treatment for Parkinson’s disease (PD), may help protect motor neurons in ALS in part, by stimulating axonal outgrowth and protecting against glutamate-induced excitotoxicity (see Ho et al., 2000). The strategy, according to a preliminary preclinical analysis presented at SfN 2017, significantly reduced the loss of motor neurons, and helped muscles connected to them stay stronger longer – at least in a SOD1 G93A mouse model of ALS. The approach, delivered intrathecally using an AAV2 vehicle in the cervical spinal cord of adult mice before symptoms (day 60-70), acted locally with benefits restricted to the forelimbs. Efforts are now underway to optimize the dosing of this strategy, preclinically, for safety, tolerability and to maximize potential benefit. To find out about other neuroprotective strategies being developed for ALS and the challenges developing them, check out: Neurotrophic Factors in ALS, A Winning Combination? 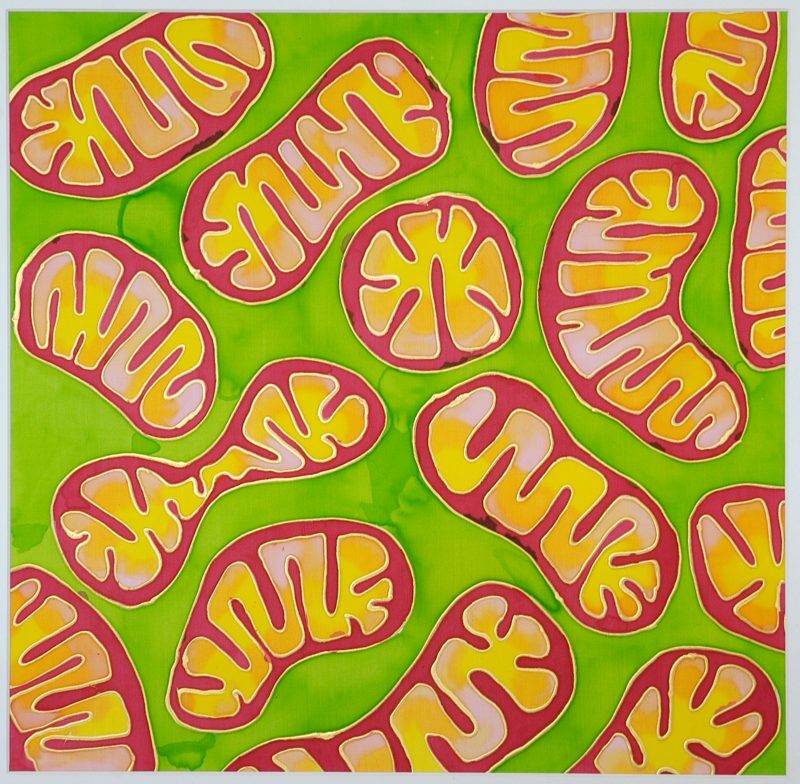 Targeting Mitochondria: Divide Less and Conquer? Mitochondria malfunction in ALS, potentially contributing to motor neuron destruction. But how to keep energy levels up in motor neurons remains hotly debated (see July 2017 news). A growing number of preclinical studies suggest that a disruption in the dynamics of mitochondria may contribute to ALS (Magrané et al., 2009; Magrané et al, 2012; Magrané et al., 2014). And, therefore, restoring the balance between fusion and fission of these cellular powerhouses may help transport them along axons, including to the nerve terminals (Song et al., 2013; Wang et al., 2013). Now, a research team led by University of Iowa’s Stefan Strack in Iowa City report at SfN 2017 that reducing mitochondrial fission may protect neurons according to a preliminary analysis – at least in a mouse model of peripheral diabetic neuropathy. The study, which involved knocking out a key activator of the fission regulator Drp1, suggests that reducing the ability of these cellular powerhouses to break apart may be a potential strategy to reduce neuronal loss in at least some neurological diseases. Efforts to identify a small molecule that blocks Drp1 is now underway. The approach builds on previous studies, which suggest that increased fragmentation of mitochondria, due to increased fission, contributes to neurological diseases including ALS (for review, see Gao et al., 2017). The small molecule-based strategy, which is being developed in partnership with GlaxoSmithKline, is ongoing. Stay tuned. To learn more about the emerging role of mitochondria in ALS and the challenges targeting them, check out Powering Ahead Targeting Mitochondria in ALS. Many mechanisms, however, have been implicated in ALS. A key question, therefore, is which of these mechanisms drive ALS in which forms of the disease. And, therefore, which people with ALS are most likely to benefit from therapies that target them. 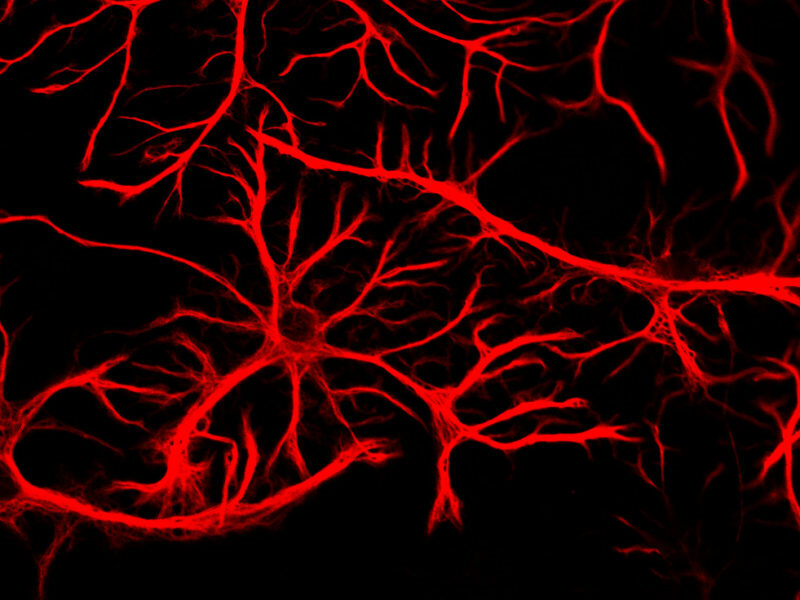 One strategy, developed by a research team led by Nationwide Children’s Hospital’s Kathrin Meyer and Brian Kaspar in Columbus, Ohio, aims to identify people that may benefit from a potential therapy by determining its ability to reduce motor neuron toxicity mediated by astrocytes generated from their own skin cells. The strategy is based on previous studies, which found that astrocytes, created by directly reprogramming skin cells obtained from people with familial and sporadic ALS, promoted the destruction of motor neurons in culture (Meyer et al., 2014). The strategy, known as responder analysis, aims to identify potential subsets of people with ALS that might benefit from a potential therapy being tested in the clinic. The approach, according to a preliminary analysis presented at SfN 2017 by Cassandra Dennys, found that a proprietary strategy, being investigated by the team, reduced motor neuron toxicity mediated by astrocytes derived from only some people with ALS with certain forms of the disease. Meanwhile, California Pacific Medical Center’s Robert Miller in San Francisco, California is using a different approach. He is hoping to identify key biomarkers in the blood that may indicate a subset of people with ALS that may benefit from treatments that aim to reduce inflammation such as Neuraltus’ NP001. One of these biomarkers, known as CRP, is currently being evaluated at the phase 2 stage (see April 2017 news; Lunetta et al., 2017). ALS, The Power of Two? A growing number of studies, however, suggest that multiple therapies may be needed, targeting multiple mechanisms, to treat ALS (see June 2017 news; Frakes et al., 2017). A key question, therefore, is how to identify the most promising combinations of therapies for the disease. Now, a research team led by Cassie Mitchell at Georgia Institute of Technology hopes to help do just that. The approach, known as dynamic meta-analysis, aims to develop preclinical computational models of the disease that may help scientists predict which therapies in combination may provide the most benefit (see Mitchell and Lee, 2012). The strategy is one of a growing number of approaches that aims to use computational methods such as machine learning to identify the most effective treatments for the disease (see January 2017 news). Stay tuned.